Some of you may have noticed that it’s been a while since I posted here and that is, in part, down to the fact that there simply hasn’t been anything that inspiring recently. However, it’s also because I’ve become a bit more focused on discovering, and thus reviewing, newer or relatively unknown material. There’s something to be said for seeing a CD hit number one in the charts, but nothing beats that feeling of discovering something you love that is privy to you and few others. It’s from one of these forays that I landed upon Netherlands-based band The Black Atlantic and their debut album Reverence For Fallen Trees, which can be downloaded for no cost on their official website. I must admit that they are not an unknown act and are in fact fairly successful in both their native Holland and across the water in the US. Indeed this month will see them play at the South By Southwest Festival in Texas in addition to a North American and European tour. So that’s my new leaf turned back over then. So, on to the album. There’s no mistaking the style these guys are going for and it’s pretty clear from the outset of album opener Baiulus, that what follows contains minimal drums and maximum emotion. This album is not groundbreaking and, as much as it pains me to say, could well be described as ‘nice’. Plucked guitars and soft harmonies are all very good (and they are well orchestrated), but it leaves little to stand up and be listened to. Often the music becomes background with many of the songs merging into one another. You may think this sounds like a harsh judgment but please bear with me because it’s not. Lets look at the album as a whole as that’s what it is. The digital revolution has not yet distorted everyone’s view of the ‘album’ and The Black Atlantic firmly come under that umbrella. This is an album of songs that are to be digested and enjoyed in one go and should not be allowed to become background music. This is not something for a party nor even a small social gathering. This is not something to give to your family (although they would probably appreciate the gift) nor is it something to be to put on in the office. What it is, is something to be enjoyed in it’s entirety with no distractions. Set aside thirty minutes of your time to enjoy a band working in harmony, producing an enjoyable album that doesn’t need to be groundbreaking to be great. As individual songs I’m a little lukewarm in my enthusiasm for Reverence For Fallen Trees but there’s no doubting the clear talent and harmony within this group. As a result, you won’t be blown away, but you’ll find it’s time well spent. And, come to think of it, when those songs are together it really is a very good record. 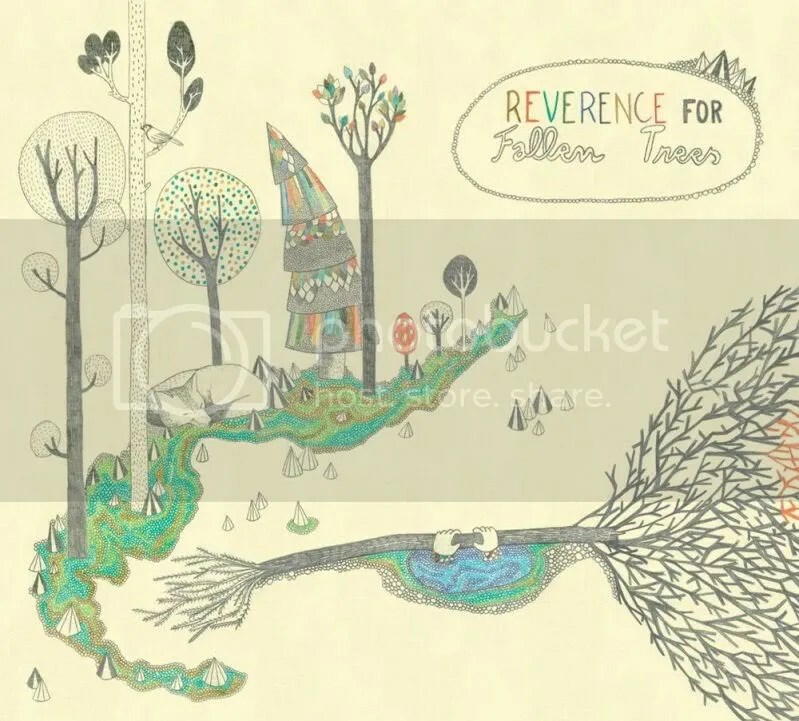 Visit The Black Atlantic and download Reverence For Fallen Trees on their official website. And get the Vinyl or CD from their official store. If you don’t fancy the full album you can get the MP3s of Madagascar and I Shall Cross This River below. Both are stand-out tracks from the album with Madagascar being a particular Fleet Foxes inspired favourite of mine. However, I would recommend you get the whole album and have listen through as these tracks on their own don’t do it full justice. Good review. Although in my opinion the albums instrumental simplicity directs your focus to the lead singers voice that bends the words to the melody in a way I haven’t heard before. I wish blogs like this would also bring into account the people behind the music and what inspired the content of the album. It gives more meaning to the experience. http://www.toledo.com showcased this band on their site and I’m glad they did (kudos to John Eikost). I look forward to their live show here on the 26th. It’s my album of the year so far. Thanks, I’m glad you like it. It’s good to hear other peoples opinions especially on lesser known stuff like these guys. I do agree with what your saying and perhaps I was a little harsh on the tracks as some are very good but I think the simplicity does wear after a while and it would be good to hear some more variation instrumentally. Also, it is nice to get some background to the music and I would’ve liked to include more on the story of the album and perhaps it’s conception. But I don’t like to push to far on this because it’s often easy to use inaccurate information which could skew the review favourably or unforvourably and distort the picture of the finished product: the music. But overall it is really good to hear a band actually play as a band rather than as backing for a singer as is popular these days. Thank you for your reply (unexpected). Your candor is refreshing. I look forward to following your blog & work. Have you checked out other bands playing http://www.sxsw.com ? “Broken Bells” ? Being in the states, we tend to be ignorant to happenings in London/Europe. Are you aware of comparable events there? Basically, looking for travel ideas. SXSW is something has always intrigued me but until now I’ve never really engaged fully with it. Looking through the line-up of bands has thrown up a few names that I recognise and I think it would be good for me to try to engage a bit more with what’s going on now (rather than looking at whatever CD takes my fancy). Am I right in saying that SXSW is spread all over Austin at various venues? We do have an equivalent festival called ‘The Great Escape’ based on the south coast. It has little of the history or notoriety that SXSW enjoys but is essentially the same.